The manufacturing and distribution sector has seen an enormous change in the last few years. Some of the biggest trends include the Internet of Things (IoT), Artificial Intelligence (AI), and Business Intelligence (BI), just to name a few. I recently sat down with Scott Holter, Services Practice Leader at Meaden & Moore Management Consulting, to talk about these trends. Scott has over 20 years of experience in the manufacturing and distribution world, assisting industrial companies with the deployment of enterprise software and lean manufacturing techniques. It was a pleasure to trade notes about what we’re seeing in this space. Q: What Manufacturing and Distribution trends are you seeing right now? Scott: I think AI and BI are among the hottest topics today and have great potential to assist distributors who learn how to implement and use to their advantage. One example is the concept of “traceability” or the genealogy of a product. Often times, a product may have multiple sources, including at the component level. There are increasing demands to understand these origins for purposes of recalls, documentation, certificates of performance, and possibly even for litigation. Sophisticated enterprise software such as Microsoft Dynamics 365 can assist with that. Another example is materials management. The use of mobile devices in the warehouse is on the rise, particularly for tracking serialized labels, containers, pallets, and lots. 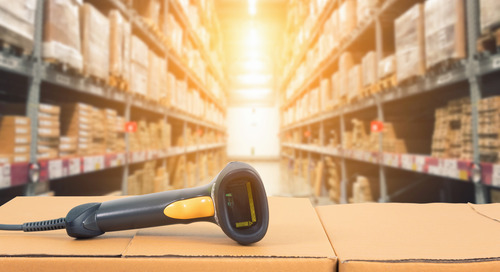 The technology has been available in terms of expensive barcode scanners, but now cell phones, tablets, and other handhelds can be used, making it more affordable and accessible to all distributors regardless of size. As an extension of this, materials management can now include remote locations including outside warehouses and even customer sites. Q: What are the biggest challenges in Manufacturing and Distribution? Scott: Today’s distributor is looking more and more like a manufacturer. Gone are the days of stocking and shipping the same product(s) over and over again. In today’s highly engineered and customized world, “engineered to order” is becoming more common, requiring more work order capabilities and bill of material systems. When distributors match up various components in multiple ways for just-in-time distribution, they have become more like manufacturing and can benefit from many of the same systems. Q: What is one piece of advice you often give your clients? Scott: I see a need for more fundamental training so that enterprise software users can better understand things like production planning and purchasing. Today’s ERP software is outpacing the capabilities of many users, resulting in misused or under-used software. I often recommend training and consulting, ideally before and during implementation but it can be helpful at any point in time. Also, there is great potential to introduce new functionality such as BI and machine learning to reduce the learning curve and add value to ERP system deployments. Thank you to Scott Holter for a great conversation on distribution and manufacturing trends. At Western Computer, we share his passion for helping clients implement the right ERP systems for their needs and always stay ahead of coming trends. Feel free to reach out for more information about Microsoft Dynamics 365 for Distribution or just to chat about what you’re looking for.